Hello again! 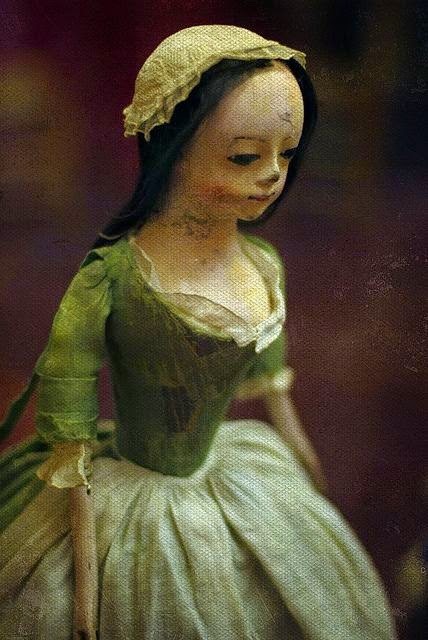 I have another quick update for you before I move on to my Halloween October theme for this month - some quick and simple 18th century damask gowns with matching petticoats and a delicate lace frill, in a veritable rainbow of colours! I was quite proud of how these turned out, to be honest! the alpha-mapping option available with this gorgeous mesh, courtesy of the now sadly defunct Sim Ages, means I managed to achieve a rich textured feel with the damask pattern. Plain construction, neat little white frill, and nice fabric. 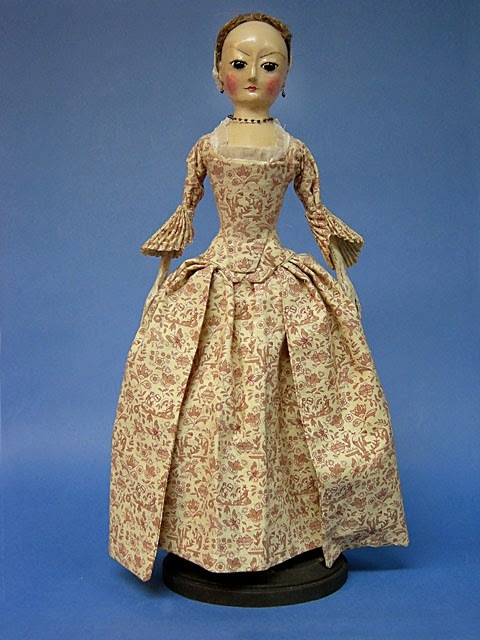 The petticoat is also often made in the same fabric, so I went with that to produce and elegant (but still slightly formal) look for my 18th century Simmies. But on to the in-game pretty pictures! Above is Bella (of Pleasantview fame), along with a helpfully resurrected Darleen Dreamer modelling a beautiful butter-yellow dress. You can see the back and the appropriate 18th century seaming I added there. Here we have Darleen, Bella, a helpful 'Mourning Widow' Dina Caliente showing off her widow's weeds, and a random red-head I plucked from my Sim Bin to play with. Surprisingly the dusky pink doesn't look too bad with her bright red hair! Some dull, drab shades of damask for merchant's wives - who can afford silk, just not the bright dyes - as well as a white damask dress, perfect for period weddings. 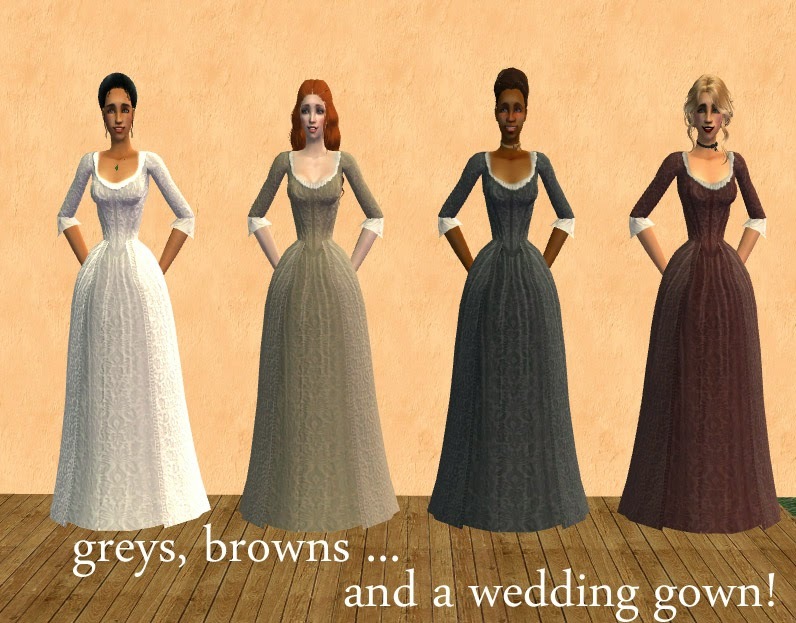 I always like to include black and white with my recolours so there are options for weddings and funerals in-game. That's how Sims 2 rolls, after all, with the family events! Some of my favourite recolours are included here. 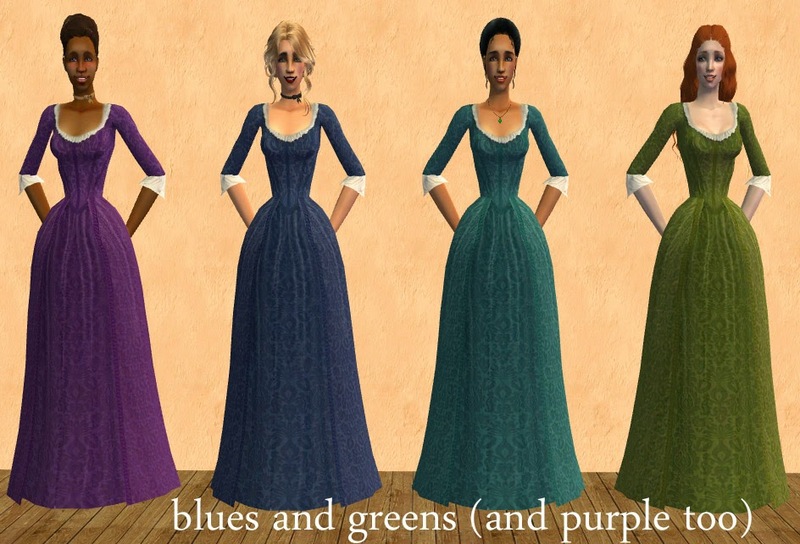 I designed the purple specifically for Darleen, who wears a similar shade of jumper in her default Maxis outfit. The light green really suits Random Redhead there, too..
And some final drab recolours I couldn't fit on the other screen cap. Mostly included because I love how Bella looks with the hat. 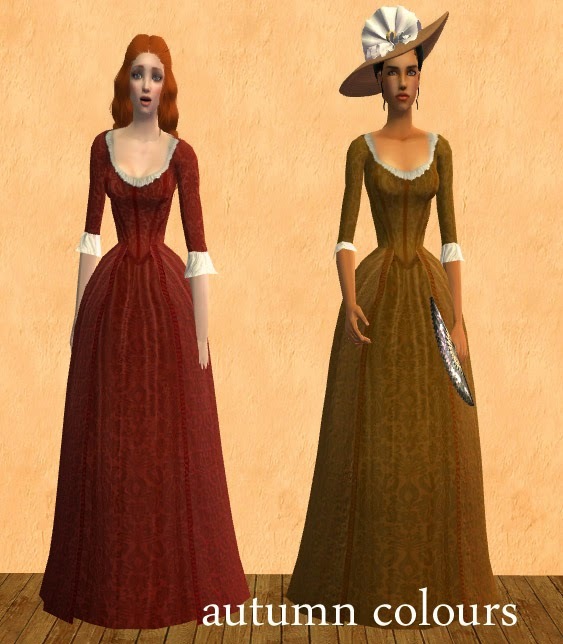 It's a Sims 3 conversion I picked up from a Glamour/Jazz age set, but it camouflages itself quite well in the 18th century! Whoops! Sorry folks, looks like I included the wrong mesh in this package. I've updated the download package, and it should now include the correct mesh here. All these recolours are included in the package with the mesh, so you can pick what you like/delete colours you don't, as you please. Mesh credits have to go to the awesome Sim Ages, and to the lovely Sherahbim, who demonstrated just how awesome this mesh was with her own gorgeous creations. Can't believe I missed these! Lovely colors, and I do love that mesh. Very pretty. Oh I love these! I always need more 1700s stuff. Thanks so much! 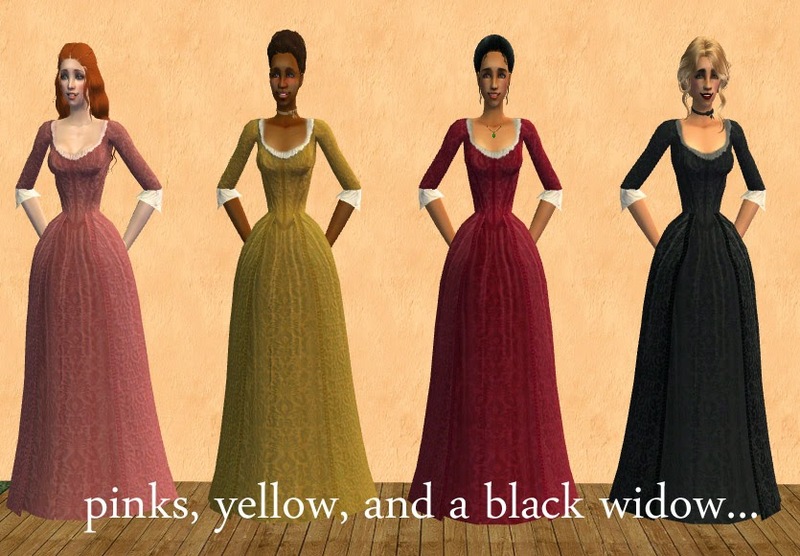 Amelie, I'm having no luck getting these gowns to show up in game or in bodyshop. I've tried the mesh you included and the copy I already had, and the files show up as missing their mesh every time. Any ideas? Thanks for the updated archive. I think it still might be the wrong meshes in there, though. I grabbed MESH-azf-dress012407 off the Sims 2 Graveayard on a hunch (the only Sim Ages mesh not in my game) and the gowns are showing up with it. Lovely work!